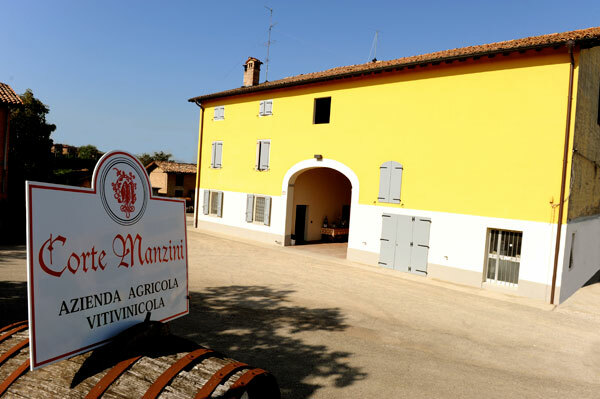 Founded in the late ‘70s by the Manzini brothers, Corte Manzini represents Emilia-Romagna’s top level of Lambrusco producers. The winery is situated in the village of Castelvetro. The quality of these lightly sparkling wines is a result of determined effort in every step from taking care of the vineyards to bottling. Corte Manzini has 11 ha of vines and the oldest are 64 yo; yields are strictly controlled. Leaf plucking and careful selection of grapes are also a part of quality control. The bubbly wines of the property are made with the Charmat-method under the careful control of winemaker Stefano Manzini. Their restrained and elegant style is a great example of Lambrusco’s renaissance.